Personalised Gifts can create the perfect ambiance for any event you may have, if you really want to create a lasting memory for your event you need to include our hand rolled personalised lollipops to ensure no one will forget the experience. Choose one of our beautiful and colourful handmade lollipops, and add a personal message on the label to created a perfect personalised gift for any occasion. 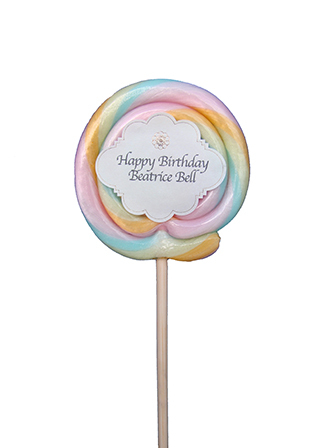 Pandora Bell’s personalised lollipops are the perfect gift solution for all occasions and are a wonderful addition to those big events in your life: baby showers, christenings, birthdays, valentine’s, weddings, staff incentives, press launches, corporate events or any other memorable celebration. Create a unique attractive personalised gift for your customers, friends or family, in any language. 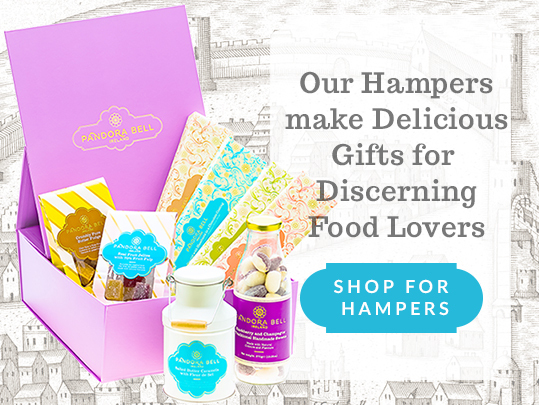 Pandora Bell’s personalised lollipops are a great addition to Hampers.